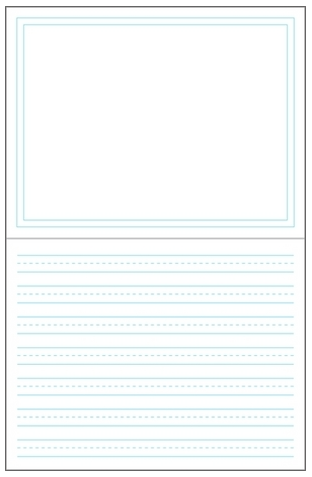 Draw Write Now Workbook is a blank book that includes 5/8” handwriting guidelines. 48 white pages, enough for 24 lessons. Position the book horizontally, so it opens like a calendar. The upper page is the drawing area. The bottom page has writing guidelines. Designed to be used with our Draw Write Now lessons, but work well with any project or lesson. Please note: you may use any paper or blank book to do the Draw Write Now lessons.